Sodium valproate is an effective medicine for the treatment of grand mal seizures. This medicine could be taken orally or IV or an injection; as prescribed by the doctor. There are always pros and cons attached with the seizure medicines. So make sure that you have knowledge about the drug which has prescribed to you by your doctor. Valproate is one of the best anticonvulsant drugs and has given some excellent results in the treatment of mood disorders, seizures and epilepsy. The therapeutic mechanism of this drug is still unclear. It gives the impression to have diverse neuropharmacological effects. How Anticonvulsant Drug Helps To Control Grand Mal Seizures? Epival is a common anticonvulsant drug that is used to treat grand mal seizures and epilepsy. It is also a mood alleviating drug. It contains valproic acid. Sodium valproate helps in the prevention of seizure fits by controlling the electrical activity of the brain. It works on to control the function of the neurotransmitter GABA, located in the human brain. The main function of the epival is dissociating with the valproate ion in the gastrointenstinal tract. This medicine also shows good results to control HIV infection. There are many anticonvulsant drugs prescribed by the doctors for treating grand mal seizures, but it should be taken under proper guidance as they can have many side effects. Doctors always initiate the treatment with small dosages to check any visible side effects from this drug on the patient over a period of 7 to 14 days. Why Sodium Valproate Therapy For Grand Mal Seizures Should Be Done With Caution? Excessive weariness – When individuals are often given higher dosage of this medicine to control seizures. Tiredness is often accompanied with slower mental processing speed. 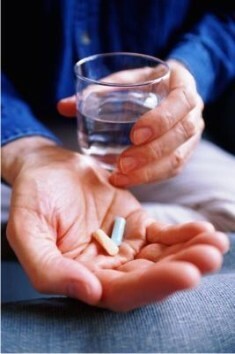 Nausea – It is commonly associated with the patients as soon as the therapy is started. Doctors often give special instruction on how to avoid nausea problem in patient. Abnormalities in pregnancy – It is suggested to avoid pregnancy while you are under sodium valproate drug therapy. Excessive weight gain – It increases the appetite and patient feels hungry even after having a good meal at regular interval. Sleep disorders – Patients often find it very difficult to sleep and it may cause a change in the circadian rhythm. Fatigue – With irregular sleep pattern and sleeplessness, often patient show low daytime activity level. Loss of hair – Loss of hair across the scalp is often seen. This is temporary in nature and once the treatment is over, patient usually have normal hair growth. Valproic acid drug therapy should be very well monitored upon the treatment of grand mal seizures and should be given with carefulness to young children and people with existing disease. It should not be given to patient undergoing an active liver disease and porphyrias. If you doctor has suggested to take enteric-coated sodium valproate tablets; make sure that you don’t use indigestion medicine at the same day. Sodium valproate is highly associated with rise in blood levels so any combination with it should be avoided unless stated safe by your doctor. The most beneficial and best way you are able to help your self be prepared and accept grand mal seizures is simply by reading and understanding a lot more about them. So take a look at more publications on our grand mal seizures web pages.